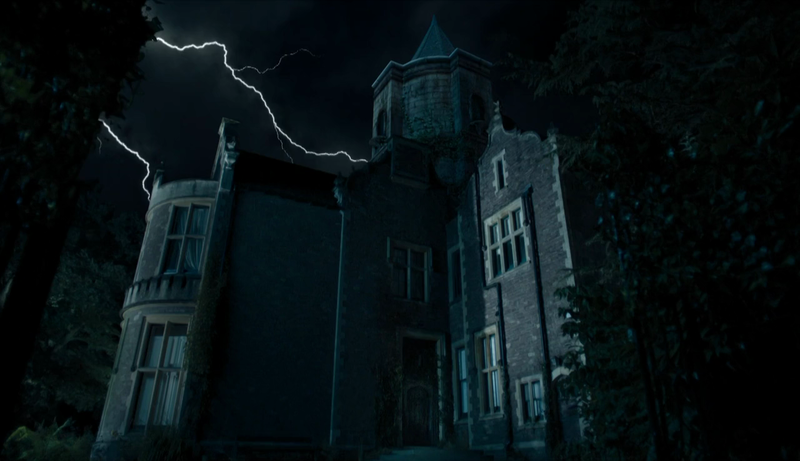 Doctor Who delivers a Haunted House episode when Bill moves into student accommodation that turns out to be too good to be true. This show is often celebrated for its versatility. It can be anything the writers want it to be because the format allows for the Doctor and his companion to appear in any situation and adapt to it. Interestingly pretty much every episode starts off as a mystery as the audience has to learn about the situation along with the Doctor and Bill. The mystery component has certainly been present in every episode of the season so far and this is no exception. The mystery in this case is a fairly simple one. “What is wrong with the house?” is the question that needs to be answered and, like the other episodes of the season, time is taken setting things up to allow the audience to be absorbed in the situation so that the answer to the question actually matters. It’s a great setup as well. Bill and her friends need a place to live but can’t find anywhere liveable that meets their affordability criteria until a pleasant old man offers them a massive old house for a better than reasonable price. That should have been the first red flag but the episode does a great job showing the desperation felt by Bill and her friends. The montage of them being taken around potential properties with each proving to be worse than the last shows how in need of a lucky break they are which makes their lack of suspicion at the house that seems too good to be true entirely believable. As a side note, if the Doctor is available to help me move house in a few weeks then I’d really appreciate the time and effort the TARDIS could save me. Bill is still a delight. Each episode adds something extra to her relationship with the Doctor by testing their interactions with different scenarios. Up until this point he has largely been living in her world so has allowed herself to be led from place to place and accepted him constantly being around her. 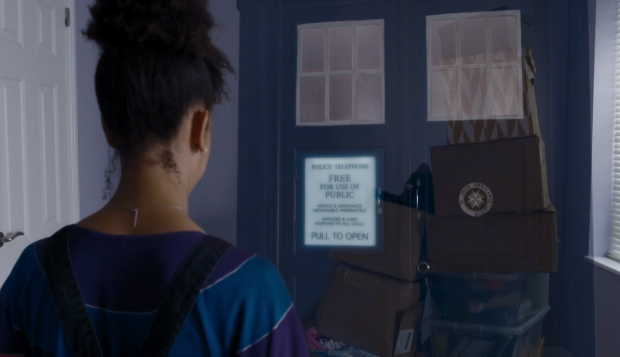 This episode allows the shoe to be on the other foot and have the Doctor be in her world. He’s not a welcome part of it as he pretty much barges in without permission. Bill decides to tell her friends that he’s her Grandad and constantly tries to get rid of him. We’ve seen in the past that Peter Capaldi’s version of the Doctor really isn’t good at blending in with humans. The most clear example of this is in “The Caretaker” where he comes across as a complete oddball and the same thing happens here. It’s interesting that Bill uses the familial connection because her reaction resembles that of someone feeling embarrassed by older relatives around her friends. The Doctor is incapable of taking the hint as he thinks he should be welcome in all social situations but it’s amusing that it feels like he’s an embarrassing relative who won’t go away when he’s asked to. Of course the Doctor is suspicious of the house as he has been around long enough to recognise certain signs. Even Bill dismisses the clues because she doesn’t see it being possible that a situation needing the Doctor’s expertise could happen to her. The events of “The Pilot” could easily be dismissed as a fluke that she stumbled into but I can accept that she wouldn’t expect her to stumble into anything like that again. The two adventures since then are different because the Doctor took her to them so it’s fair enough that she initially dismisses the creaks as being something expected in an old house. Horror episodes need to scare at least some of the audience and this one does this well. Creaks and mysterious sounds are always a mainstay of horror and this episode has those in abundance. Impressively there are almost no jump scares which I found to be refreshing. The only one was when a door was opened to reveal the Doctor behind it and it wasn’t framed as if his presence was supposed to be the equivalent of someone yelling “boo” to diffuse a tense moment. This episode attempts to be scary mostly through atmosphere and unanswered questions. Essentially it keeps asking “What was that noise?” and then delaying the answer as much as possible. The systematic disappearances of Bill’s friends is another effective technique to make it clear that something unnatural is going on. I like that the characters basically vanish off screen with no explanation to begin with as it widens the scope of the events to being outside of Bill’s perspective. A persistent problem this season has had has been revealing the answer to the mystery. The episodes are weighted to setting it all up while focusing on the characters which means that the resolution is somewhat rushed. This is what happens here though this episode has the benefit of having an engaging villain who appears throughout the episode. The Landlord (David Suchet) is appropriately creepy with his eerily calm demeanour and unsettling presence. 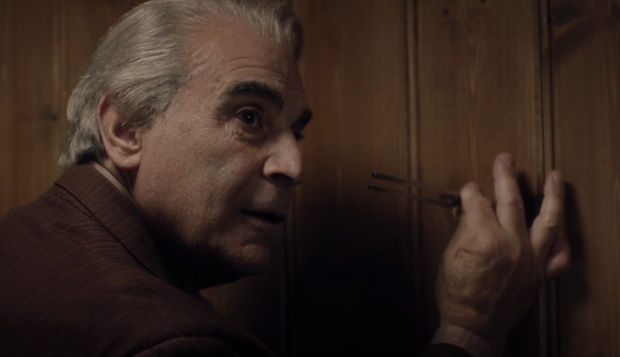 David Suchet expertly plays the character as having something off about him that can’t quite be defined. We’ve all been around someone who creeps us out but we can’t figure out why and that’s exactly what’s going on with this character. 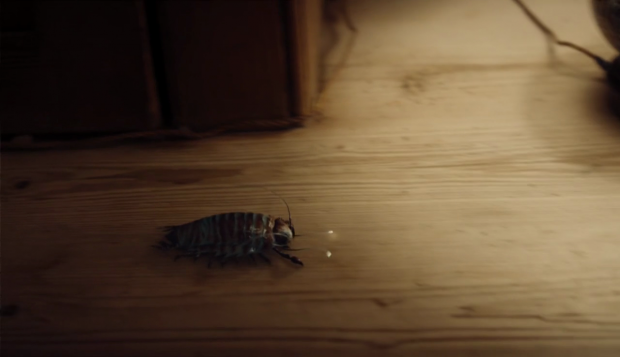 Revealing him to be quite a complex figure in what motivates him to lure unwary people into his insanely cheap accommodation as food for the insects that keep his mother alive is a good idea as it gives us another villain that isn’t traditionally “evil”. Complex morality seems to be the order of the day for this season and it works really well as I like it when morality isn’t black and white. 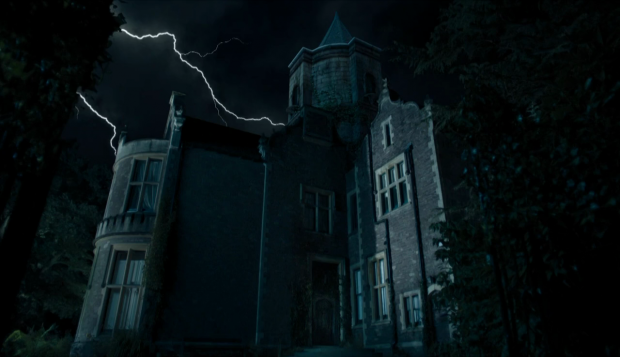 The Doctor’s inability to blend in with Humans comes into play during the reveal as he assumed that the Landlord is keeping his daughter alive but Bill is able to point out that it doesn’t add up since Eliza (Mariah Gale) has been locked up in the tower for over 70 years. This causes the Doctor to revise his theory to the Landlord being Eliza’s son which changes up the narrative completely. Suddenly he isn’t a crazy old man considering other lives expendable to save his daughter. He becomes a lost and lonely child who will do anything to keep his mother with him. Even though he’s an old man he never grew up because his mother wasn’t in a position to raise him. It’s a really clever explanation that makes the Landlord something of a sympathetic character. His challenge to the Doctor on what lengths he would go to in order to protect the woman who brought him into the world adds to the moral complexity. The Doctor doesn’t have an answer to that which I find fascinating. Eliza’s decision to put a stop to her artificially long life at the expense of others is an effective pay-off as she is inspired to accept that what she is experiencing isn’t life. All she does is exist and the way she looks at the fireworks outside shows that wonderfully. Life means being able to go out to see those fireworks and interact with people but she sits in a tower and feeds off the life force of other people which definitely isn’t idea. Ultimately it is up to her to decide that she’s better off not prolonging her painful existence any more which wraps up the episode with her and the Landlord being tragic figures who ultimately meant well but were completely misguided. As good as this is the resolution does feel a little rushed. We go from the reveal of the insects to the reveal of Eliza and wrapping up the story in a very short time. It feels quite jarring when compared to the deliberately paced setup and makes me wonder if these episodes should be about 15-20 minutes longer so that the resolutions can be better developed. There’s very little wrong with what is being done but there just isn’t enough time to let it all hang together. Undoing all of the deaths feels a little too neat as well. Bill’s role in the episode continues to prove how great a character she is. She helps the Doctor understand the situation and he overall bravery in the terrifying situation says a lot about her strength of character. It’s good to see her interact with characters her own age from her own time as well as it suggests that she has something of a life outside of the Doctor. Her sexuality is brought up again when she plainly tells Paul (Ben Presley) that she’s into girls which stops him trying to flirt with her. It’s a really causal exchange and Paul’s reaction works well. It sends the message that Bill’s sexuality isn’t a big deal for anyone but it is also part of who she is. Visually the episode is excellent. The house is a character on its own with claustrophobic rooms and a run down quality to the location. The insects look really good though succumb to the dodgy CGI curse occasionally and the design for Eliza is excellent. She looks like part of the house and there’s something gentle rather than terrifying about the way she looks. As I mentioned above the use of sound contributes to the overall aesthetic that is enhanced by the visuals. We get more development of the vault mystery when the Doctor goes in with food to tell the occupant a story. This suggests a parallel between the Doctor and the Landlord. The Landlord gave up his entire life to stay in one place and protect his mother and the Doctor seems to be doing something similar here. He has based himself in a single location for decades. Interestingly he has spent 70 years guarding the vault which is pretty much the same amount of time the Landlord spent caring for his mother. These may not be connected on a narrative level but they are definitely connected on a thematic level especially since music triggers the insects and the sound of a piano playing can be heard inside the vault.. Could the Doctor pointing out that Eliza wasn’t actually living because she wasn’t able to interact with the would have provoked a personal revelation that the occupant of the vault has the same problem? Obviously we don’t know who or what is in there yet but the l wonder if the reveal will be a similar sort of idea. 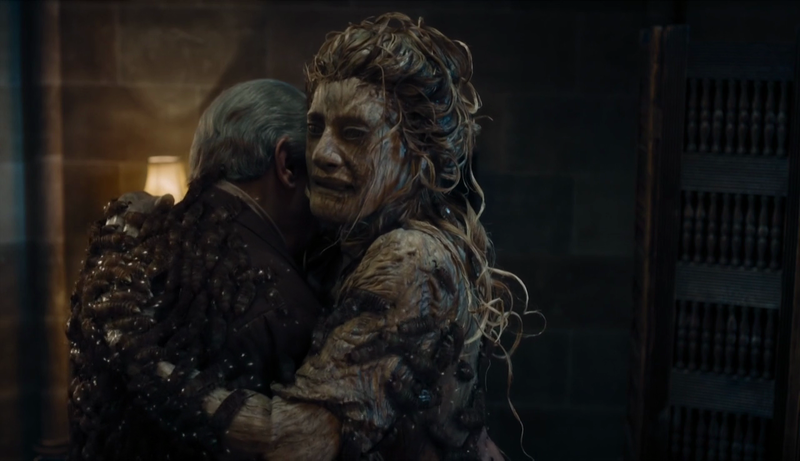 The Doctor’s approach to dealing with the occupant seems to have changed and the suggestion is that the events of this episode are the reason for that. Another excellent episode that adds more to the Doctor and Bill’s dynamic when he becomes part of her life rather than the other way around. Playing up the embarrassment and the Doctor’s inability to blend in with Humans works well and develops their relationship nicely. Seeing Bill interact with characters her own age from her own time is a nice touch as it shows that she has a life outside the Doctor and the way the episode deals with her sexuality shows that it isn’t a big deal but it is also part of who she is. Her insight when the Doctor is solving the mystery also shows how useful she is to the Doctor. The haunted house mystery is well developed and appropriately unsettling. Claustrophobic rooms and an overall run down aesthetic for the house combined with creaks and groans build the atmosphere well. The Landlord is an effective villain who has something creepy about him that is difficult to define until the reveal. Complex morality is an ongoing theme of this season so far and it comes into play here with the clever explanation that he has been protecting his mother since he was a child. Suddenly he becomes a tragic figure who never properly grew up. His mother, Eliza is also a tragic figure who ultimately realises that what she has been living isn’t really life. Sadly the resolution feels rushed in comparison to the setup and undoing the deaths felt a little too neat. The events of this episode seem to change the Doctor’s perspective on the vault’s occupant but answers are still to come for that.